Hi! My name is Miroslav Miljkovic, Grand Master from Serbia and official ICC vendor. If you want to learn, improve, and have a nice time just contact me. I can help you to find the weaknesses in your play. I can play sparring games with you... Prepare special lessons for every student. Reasonable rates. 1 hour = $35 I have other rates listed below. Hi! 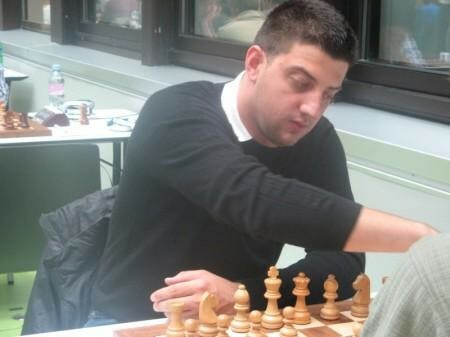 My name is Miroslav Miljkovic, Grand Master from Serbia and official ICC vendor. If you want to learn, improve, and have a nice time just contact me. I can help you to find the weaknesses in your play. I can play sparring games with you. Prepare special lessons for every student. I have been working with Miro for years, and he's almways had such a natural approach to coaching that made the experience highly educational and fun. He can make highly structured lessons, teach techniques on request, and he's amazing at analyzing games. The biggest benefit I've had with Miro is his ability to reference games for me to look at away from our training sessions.